2D and 3D CAD design software tools. "AutoCAD is a very popular tool for layout purposes"
AutoCAD is very dependable. From creating machine parts for my school thesis. to drawing layouts for our construction projects in my previous job, AutoCAD never failed. It was what we used in school because a lot of companies use it, and it gave me an edge in applying for a job. AutoCAD is a very powerful tool on all aspects of Engineering. Also, I can use it together with other programs. I can import & export drawings that was already made from another program and improve it using AutoCAD. It was a little hard to memorize all the functions, but it was okay. I know AutoCAD's fuctions are very extensive. AutoCAD has already earned it's reputation and I think it is already on top among all of it's competitors. We use AutoCAD mainly for creating floor plans, buildings, and all of our construction layouts for our projects. Take your time to learn this application. Become familiar with it before giving up. CAD is used lightly in my job. We review a lot of CAD plans, but dont use it that often on a hands on kind of way. This allows us to review sprinkler and construction plans. "Top of the Market CAD Software"
Autocad is an extremely powerful CAD software, which is extremely easy to use. It has simple commands that are easily accessible via the GUI the software provides, which makes learning a lot of them unnecessary, which is not to say that they are complicated to use, since they normally require for you to know only 2 or 3 steps. In autodesk they tried to keep things as simple as possible, from importing to exporting your data to utilizing every editing tool and commands available in the large library that autocad provides. There are only two things I don’t like about autocad, the first one is that it requires a lot of graphic power from your computer to run as smooth as possible, so don’t think you will be able to run it to its fullest potential in a regular PC. Second, the license is extremely expensive, and in cases you are not working every day with plans designs or modelling is just not worth it to pay this vast amount of money. Otherwise I have absolutely nothing bad to say about this software. I always recommend autocad to everybody, it’s hands down the best and most complete CAD software available. However, you need to keep in mind that it is extremely expensive, so you will only turn a profit if you have very specific projects that require the full use of this powerful software, if you don’t then I would recommend you chose some of the cheaper options available, but know that none of them comes near what autocad can provide. We use autocad mostly for plans designs of industrial facilities, whether they are new designs or modifications required by our customers. We also create 3D models of parts and pieces that accompany the designs created. "Why do I use AutoCAD"
AutoCAD is perfect to use when the graphic representation of objects are shown in multiple drawing locations. Then this graphic can be changed once and all occurrences will be automatically updated. AutoCAD supports not only two-dimensional drawings but also three-dimensional drawings. With a three dimensional model, a user can actually create walkthrus and flybys of the project instead of having to create a physical model. AutoCAD cannot produce a drawing file that contains the needed building information for construction. It only offers various tools to create the needed drawings to communicate the design intent but not more than what is graphically shown. AutoCAD is well suited for companies that need to mass produce lots of similar but different versions of a floor plan. With some minor tweaks and modifications, many floor plans can be generated that look very different graphically. But if you need to produce something that's very unique or an object that has a very odd and strange shape, then using AutoCAD would be less efficient. Our firm used AutoCAD across all 3 of our offices. We mainly used AutoCAD to layout two-dimensional plans for various building design projects. We first implemented the use of AutoCAD over 25 years ago to produce high-quality ink drawings to present to our clients. "Autocad is a excellent software and these are my pros and cons"
Autocad is what i like to say "a digital pen and paper". It has infinite cappabilities and is easy to learn. Usually if i have a question i get on youtube or autocad forums and i always find the best and easiest solution. It is the most widespread software on drawing so all know it or have it, and that helps if i want to connect with another person to just send the file and he can continue working on it or see it. It also uses on ly the ram of the pc so it works easily and does not need to buy a graphic card. You can draw on 2 or 3 dimensions, making it easy to do anything. It is very expensive. There are a lot of software out there that copy this program and are much cheaper even if they do not have all the benefits of this program. Also the way Autodesk now charges per year is good if you buy it for one year but if you want this program for many years is even more expensive. Overall I wouldn ‘t change this program for all those that are on the market. They are just copies of it and all copies are lesser that this. I am using Autocad for making drawings for my customers of their homes or future home projects (I work as an architect and I civil engineer), print them, use them to take the building permission or just making some cool posters. "OLDEST AS GREATEST DESIGN SOFTWARE EVER"
All the 2d drafting commands like line, circle, polygon, copy, cut, array, trim, fillate, chamfer etc are best to use, also quick to adopt for new users, as stated in title that software is very user friendly for both generations (Young and old) of engineers. As it is an oldest software in the field of design no one can replace it as a primary and necessary design tool as in Design, drafting, detailing, annotating, modeling etc. in all the design era. I also don't like some things of it like they are not upgraded its versions as per current scenarios, we can not prepare 3ds in autocad like Solidworks, Creo, Solid edge etc. We can not perform simulation (Finite Element Analysis) on it, As autodesk not upgraded its versions as per current requirements. I hardly recommend this software for those who are new in design field, and all the small firms which are just started their business in the field of manufacturing. Concept Design, Concept Sketch, Detailed Design and Drafting, Detailed Dimensioning etc..
the most difficult thing about autocad is to work in three dimensions, especially the visualization and that there are blocks that have to be paid to be able to use them but in the same way they can be done. The biggest recommendation that can be given to autocad users is that when downloading it is for students or for workers (architects or engineers) is that it perfectly manages the program in two dimensions as well as in three since that is the way to get much out of the program.
" AutoCAD is a computer-aided design software used for 2D drawing and 3D modeling "
Drawing is an easy, simple and quite fast way. The program offers the artist the opportunity to convert their works to other files as PDF and to share them effectively and easily with anyone. This also has tools to make the jobs are as perfect as possible, both aesthetically and in information, as we find tools to limit as well as giving us boxes, text options, colors, realistic presentation methods among others. This program saves us more time when designing, since it is much quicker to draw here than to do the drawings by hand. Thanks to its advanced and convenient features, nowadays AutoCAD is a fundamental piece in any study of architectural design or industrial engineering, and is commonly used for the development and elaboration of complex pieces of technical drawing in two dimensions (2D) and for creation. It is more feasible and practical to work in AutoCAD. It saves time and is simpler. It allows exchanging information not only by paper, but by means of files, and this represents an improvement in speed and effectiveness when interpreting designs. It has been linked to multiple platforms, with the benefit of being able to export and import files of all kinds. It has tools so that the paper document is perfect, both in aesthetics, as in information, since the finishing and presentation of a project or plan is important. It is possible to draw both in 3D and in 2D: from the 2D drawing in plan, there is the possibility of generating the 3D model in a much shorter time than the time it takes to draw an isometric or a perspective by hand. Less work time: productivity when drawing. With tools for project management you can share information effectively and immediately. "A tool capable of implementing the 2D digital drawing in a great way." The workspace and its toolbars work correctly and allow me to execute the commands and options effectively and quickly, their visual capabilities for 2D drawing are very complete, creating layers, blocks and line thicknesses is ideal for a Professional drawing and the level of precision of the drawing is excellent. Some commands are not visible in the workspace and their functions and usefulness are not specified, it is a very rigid software, not very flexible and dynamic and the process of printing and scale of formats is quite tedious to reach the expected result. It is essential to have basic knowledge about the capabilities of the software and the use of commands and metric parameters to make 2D drawings digitally. In my area of ​​work, it is perfect for drawing constructive details and engineering pieces that require great precision and different scale sizes for project presentations, it seems to me a software with many professional possibilities in the development of 2d drawings. "Fast and User Friendly CAD!" I like being able to flesh out designs without constraints or requiring parametric relations. AutoCAD is great for the first stages of design when you might need to slash and hack like drawing a napkin sketch. Other software is not as free/open, often requiring specific measurements to be entered. I dislike the rendering ability of AutoCAD. AutoCAD lacks fully functional ray tracing inside of AutoCAD itself which makes it very difficult to get accurate renderings without another software to help. I draw a lot of parts and use renderings to make them appeal to consumers of the products. Without a fully functional add-on or standalone product, AutoCAD is not able to deliver highly realistic renderings out of the box. AutoCAD is the most user friendly, fully functional CAD software I have used. Definitely try AutoCAD! AutoCAD is used to edit drawings of machine parts that are more than 20 years old. This lets us keep a vast database of almost every part that has ever been made by our facility and we can easily share the DWG format with other platforms. "AutoCAD is so helpful tool"
It gives you many tools to draw any kind of drawing on a sheet whether it's 2D or 3D dimensions. For industrial purpose it has helped me a lot. It is very versatile software distributed with various functions and features which helps you to recreate your drawing even in a more better way. AutoCAD is a very reputed software in industry of engineering and development which leads the our technology in a new way. AutoCAD offers so much of tools and some of them are complex to learn for a new user. Drawing made by AutoCAD affects when we have to make a very complex project and we have to gain very deep knowledge to do all that thing. AutoCAD requires much powerful platform to run on any system. It so much hangs on my windows 7 but I think it should work fine with windows 8. This software is helping me to save my much of time by completing complex drawings in less time. With each new update it gets even better and new tools and features are added. My friends also loved this so much and they are now learning and taking courses how to use it. I hope you will also love it after trying it. Whenever it comes for drafting and drawing in engineering, I have never thought of any other software because AutoCAD is with me. It is very useful software which helps in drawing many complex drawing in very less time. Really this software is a boon to engineering field and I will recommend every user to go for AutoCAD first, then you will never ever think of any other software. "Autocad the best CAD in the market"
The amount of things that you can do and create in AutoCAD are virtually endless, you can use the software in short and big scale, you can design a park or a building, modelling an office or a city, you can customize the software in the way you want, work with the menu or the command lines, you can use multiple layouts, you can renderize, measure, print, add coordinates and more, for me AutoCAD is just the best. For the beginner user it can be very complex and overwhelming to explore and select the right features, but with some practice you can get the most of the software. This is the best CAD in the market you cannot look for another one, it is just amazing, but you have to be aware, it is quit expensive too. Using AutoCAD we could design pipelines, parks and buildings, everything with high precision and detail, we used the software to create measure and modelling specific places and to know where were the areas to deploy new projects. "AutoCAD 2D is a handy tool but insufficient for BIM"
AutoCAD becomes very easy to use in a very short period of time. There are already many answers on the internet for any question you can imagine. I have never experienced a dead end to any of my problems/questions. It is easy to use drawing in different applications, also drawings can easily imported to 3D softwares. I also like the iOS app which allows me to reach my files anytime anywhere. If the project is too large, or has many floors with many system details, it becomes more complex to work with Autocad 2D. Whenever there is a change in a plan drawing, it has to be updated in section and detail drawings later on or vice versa. Imagine you have 20 different files corresponding each other and any change can lead to successive changes in other files. Thus I would prefer another BIM software to prevent time loss. Other than construction drawings, auto cad can also be used for diagramming and a base for illustrating. Google earth images also can be traced easily if there is no previous information or drawing file from the site. AutoCAD is usually used for construction drawings for the site. So that builders can follow the order of the construction and understand how to implement design. The short cut commands are great, I only usually use keyboard commands, instead of using the icon buttons. I like some of the commands better in CAD them is other CADD programs. I like the interface and the ease to modify and customize how you want to work. I like how some of the commands have changed over time, and have encompassed more ease to use and utilization like for example move is a basic command but in the newest, it has a snap for the "center" of whatever object you grabbed, like this a bunch. I don't like the complex and sometimes unknown ways to import a different filer type into ACAD. I get other types of CAD programs aren't really compatible, but they can sorta. and usually, it doesn't look right scale and line types/line weights get screwy. It is a perfect solution for any designer, engineer, architect. Ease of use, quick learn, it is a one stop for your needs. There are many features and some you might not use. so it isn't a software to be scared of that you might not understand. Use what you need and the rest might not get used. There is a ton of support out there. so if you need it just look and ask. Not really solving any business problems we use it for our jobs and projects. It isn't a software we use to problem solve. It is used for our design. "The best software for architects, engineers and designers"
I can not find something negative, just that when using the Hatch tool it gets very slow, but it's probably because of my computer. I am an interior designer and without this software I think I could not work, it is really essential to use this software now in my life for my work, I have presented a lot of drawings for large and small projects, houses, apartments, clinics, etc. it's really amazing. Easy to use, lots of ways to customize the user interface, keyboard commands easy to remember. extremely easy to learn. fancy version of microsoft paint! more functionality than google sketchup or microstation, easily import images, pdfs and other cadd files. IT IS NOT A FULLY FUNCTIONAL VERSION OF CAD!!! some commands are not included in this version. somehow interns can't learn it? multiple glitches that are annoying to get around, crashes unexpectedly without cause. new versions every year that gets expensive to stay up to date. also file formats change with new versions that make older versions unable to oppen newer files. from what ive seen autodesk is also moving to a subscription based pricing plan which wil probably scare off smaller companies that cant afford a yearly fee for autocad. "AutoCAD is very helpful in civil engineering"
This app has so many features like trim, fillet and so on which increases the speed of your work and it also has blank white and black sheet where you can work as per your need. AutoCAD is much powerful tool that has helped me to draw any kind of drawing of any kind of object. It takes so much time to open the software because it contains too much files. Android version is AutoCAD is not so developed but it's fine. This app has every feature to increase your work speed. Many features and functions are newly added with every update which increases the efficiency of your work. This is very user friendly app that I love to use it everyday. I will recommend everyone to use it. This app has saved my so much of time. "make plans in a quick way." What I like most about this program is that I can make my designs, plans and drawings of two and three dimensions in an easy and fast way, it is an internationally recognized software, it is excellent for its editing ability, it is very practical work with Autocad, the best is It can be used in many branches, which include: architecture, civil, electronic, mechanical, chemical, oil, technical and others. The license of the program has a high cost that not everyone can pay, it requires a computer that has a lot of memory capacity to use the autocad, because otherwise it would be very slow and would not allow you to use many of its powerful functions. It is important to have a powerful computer with a lot of ram memory to be able to use all the functions that autocad has, in a fast and precise way, autocad It has tools so that the paper document is perfect, both in aesthetics, as in information, since the finishing and the presentation of a project or plan is important, it helps you to carry out the work in a shorter time which helps you to share your information in an effective and immediate way. In my case for being a mechanical engineer, I have managed to design several mechanical parts and also draw several plans of premises, warehouses and place the exact measurements of where each item will be located in the warehouses, which allows me to save time when Let's go to real practice. Over the past 3 1/2 years I have been using AutoCAD, I noticed the improvements that made to the programs that aided me in drafting a lot more quicker and efficient. You can type the beginning of a word and it would automatically pop-up various function beginning with that letter. (Ex: Type the letter "C", the following command will pop-up Circle , copy, coordinates, etc. The one this a dislike about AutoCAD is that fact that when you type a dimension using the Line command and press enter , the command will turn off once your finished typing the value. I would rather the line command stay active while I am using it since , when I am drafting I need to draw up various lines and have to continuously press the space bar after every line can be tedious. Comparing to similar CAD designing programs, AutoCAD is definitely the best. I am currently a Drafter for an Electrical contracting company and AutoCAD allows me to draw dimensions and specs, to review them before building it in real life. "wonderful work experience with using autoCAD "
Great program for doing floor plans & plant layouts, this also works great for doing gaskets and some sheet metal flat patterns. another benefit of this program is it works in several engineering areas like civil, arch and Mech. For an old school designer like myself, I have not liked the push to eliminate the classic menus. Whenever I deploy new installations within my company, I spend time customizing certain some workstations to utilize the classic menu's including my own. I can work a lot faster using classic menus and icons to do the work than I can with the Ribbon style of commands. In 2018 versions, I have noticed that some of the classic menus are no longer available. This is a bad move by Autodesk in my opinion. Since about 2015 or so, they have hidden the classic menus and they have to be turned on using the MENUBAR (from 0 to 1) and the -TOOLBAR command lines to get your toolbars turned back on. Be sure to save your customized WORKSPACE when you are finished. We use AutoCAD Mechanical for some 2D layouts and a lot of electrical schematics. As an engineering firm, AutoCAD Mechanical is very useful for our designs and internal projects. While INVENTOR is used for most designs of parts and assemblies these days, there are some things you just can't do with INVENTOR or at least do simply with INVENTOR that AutoCAD Mechanical can do. Una de las ventajas a destacar de este software, es que es más factible y práctico trabajar en AutoCAD que si lo hicieramos todo manualmente. por lo tanto se ahorra tiempo y es más sencillo. Por otro lado, permite intercambiar información no solo por papel, sino mediante archivos, y esto representa una mejora en rapidez y efectividad a la hora de interpretar diseños. En cuanto a la compatibilidad que nos ofrece, se ha relacionado con múltiples plataformas, con el beneficio de poder exportar e importar archivos de todo tipo. Además cuenta con herramientas para que el documento en papel sea perfecto, tanto en estética, como en información, ya que el acabado y la presentación de un proyecto o plano es importante. Este programa nos permite dibujar tanto en 3D como en 2D: a partir del dibujo en 2D en planta, existiendo la posibilidad de generar el modelo 3D en un tiempo mucho menor al tiempo que se emplea en dibujar un isométrico o una perspectiva a mano. En cuanto a las desventajas, el programa tiene un costo elevado, debido a su licencia. Por otro lado, saber usar en plenitud el software requiere mucho tiempo ya que hay infinidad de funciones, e incluso que son de poca aplicación, al ser muy específicas. En cualquier caso, para un unuario que no tenga la pertinente formación en este software, le va a resultar muy dificil poder manejarse con el mismo, aunque solo persiga unos fines básicos a la hora de realizar cualquier trabajo. Otra desventaja sería que se requiere una computadora potente para trabajar con velocidad de procesamiento, y un espacio alto en el disco duro, siendo los requisitos del sistema requeridos algo elevados para poder funcionar con normalidad de una forma fluida. Recomiendo este programa por ser un software reconocido a nivel internaciona, debido a sus amplias capacidades de edición, que hacen posible el dibujo digital de planos de edificios o la recreación de imágenes en 3D, haciendo de él una herramienta única en su campo, con pocos competidores que le puedan hacer sombra. Dibujar en dicho programa ha revolucionado la forma de trabajar, ya que en cualquier trabajo que esté relacionado con lo técnico, ahora se hace de forma digital, lo que permite ahorrar mucho tiempo y obtener unos resultados muy profesionales, a la altura de las exigencias de cualquier cliente. This program has a dynamic use for the products we produce. It is completely dependable in all of our complex drawings and block usage. It works very well with our designs for walls, as well as screw details. The programs has multiple menu set-up options allowing quick access to blocks. Each menu is fully customizable and movable in the upper bar. If the computer has low memory capacity it can bog down slightly. The processing of this program in relation to CPU can be a bit taxing as well. This program can do more than basic editing. It has the ability to creat three-dimensional renders of any product you're needing details of. It can provide extremely high quality flat drawings as well. It also provides the ability to produce PDF versions of drawings. We're solving lack of consistency with this program. The ability to create drag-and-drop blocks to quickly assemble drawings for our distributors. "Best program for your design needs"
I have been working with the AutoCAD program for almost 11 years and every year it gets a little more better and easier to work with. I never have a problem more than once with the AutoCAD program due to they seem to fix bugs in the program frequently. Only thing that has been hard for me to get used to is that I have switched from a PC to a Mac book pro and some of the features with the tool set up are different. For instance you can't minimize some of the tool icons instead it takes up a little more space on the screen. But, if I kept using a PC it would not matter it was more or a preference on my end. If you do not know how to do something or a command look it up in the help section to do a play by play of what you need to do. I have excelled at this program by doing so and using short cut input terms. Once you learn them it is quick and easy. I am an Environmental Consultant and having the google earth with AutoCAD has made it easier to show clients properties and what I can do to help them. Showing someone a 3D image makes it easier to help clients understand properties and projects. "Una herramienta excelente para trabajo detallado y comunitario"
AutoCAD me ha permitido realizar trabajos detallados con las comunidades que residen en Distrito Capital, a través de planos hemos realizado levantamiento de el mobiliario urbano que presenta deficiencias desde las bocas de visita, hasta los postes y fachadas, con muchísima precisión y ademas con planos que tienen coordenadas, permitiendo la georreferencia y una análisis más completo de los datos recolectados. Es bastante complejo de utilizar para personas que no tienen experiencia con CAD u otros programas de dibujo, al principio me costó muchísimo adaptarme, son demasiadas opciones y herramientas, y me parece que la interfase de impresión es realmente compleja y poco amigable. El programa es realmente sorprendente y poderoso, pueden realizarse millones de cosas con él, pero debe poseerse una formación previa en el manejo de CAD porque sino se complica enormemente el uso y la aplicación del software. AutoCAD nos ha permitido tener una relación más directa con la comunidad que los levantamientos de información y la resolución de problemas se hace directamente con la participación de los habitantes, además de ello puede trabajarse con información realmente precisa y muy detallada, lo cual es útil para solventar problemas específicos como en tanquillas y bocas de visita. "Program of design of plans and objects of precision and professional quality ideal for projects"
Autocad is a tool that all the engineering staff of the industrial complex must use to prepare the distribution of the machinery and the remodeling of the sheds, because it has a set of options that facilitate the design of the plan or building in three dimensions.I am very pleased with the precision of your designs, has a set of work tools very well thought out and designed so that the professional has the ability to design plans and buildings with their respective distribution and accessories, as well as, in three dimensions with a level of detail that facilitates showing each element that make up the construction, the planning of the organized execution process, and the modification at the time that is necessary. Being very important for the company and for me because it allows to be more efficient at work saving time jobs, and even hiring new professionals that represent expenses that can be used in other activities. I really like the final presentation of the design because the tool offers me a set of options to work in the preview, since it allows me to design with different tools for the elaboration of the frame, the legend, the numerical or graphic scale, titles or subtitles of the cartography, and even insert images or maps according to the need. Personally I consider that no market program has the ability to compete with the tools offered by autocad for two or three dimensional design, because autocad has many tools that allow us to design each element that makes up the object accurately, well delineated, with the background desired and color that we consider. In addition, it offers options for each element to be grouped, joined or cut in the shape and angle that we want. Autocad is a wonderful program with many work options, but you should look for ways to facilitate the use of its tools because they are very complex, require hours for learning or assistance in educational training activities so that we can use it according to the professional levels necessary for purposes that the designs are what we want to project. I suggest to new clients to start a staff training process on the tools that the company requires its professionals to be experts and highly capable of designing excellently. I suggest that in the process of evaluating preliminary designs use other programs easier to use, while autocad use it for the final design of the project because it has work options to improve quality, accuracy and diverse. It has allowed me to grow professionally, because thanks to the tools of the program I can observe the projection of the work and observe better the sequence of activities necessary for the construction of the building. It has helped me in various projects and every day I learn more about the tools, which allows me to say that Autocad is the best professional quality engineering and architecture program for the design of plans and projections of buildings or houses in three dimensions. "A versatile drafting program for a variety of needs"
AutoCAD can have a variety of detail levels, from simple stick line drawings to full detail wireframe 3D models. Because of the wide array of drawing tools in the program, it can be easy to draw details of anything needed for projects. It's not a very smart program. Anything drawn requires a lot of editing to get to the level of detail needed, and anything that has to be changed or moved later basically requires drawing the lines all over again and editing those for the new changes. The 3D modeling available isn't very intuitive either, and can still suffer from the same lack of a smart system for moving and editing what's been drawn. Because AutoCAD is primarily a line drawing software, it will require editing and redrawing to get exactly what you want from it. But it's simpler and easier to jump in to, and will be more cost effective for smaller projects or customers with smaller budgets. AutoCAD has been in use for years, the level of detail shown in the drawings improving as the software gained more capability. It can be great for small drawings that need to be done very fast. It is also still the preferred program for making details to be used even in Revit projects because of the ease of creating detailed 2D drawings. "Best 2D and 3D drawing software for engineering"
I love how easy is to work with autocad when you get the hang of all the comands it offers (but you will use some common comands mostly so this shouldn't be an issue at first). There are so many options the software offers that working by hand is completely forgotten. The option of creating 3D models from the 2D drawings makes autocad an incredibly powerful tool. Learning and mastering autocad at first is really overwhelming since it requires you master a vast amount of comands, so you will frequently find yourself with a clip note with the most common comands until you get the hang of it. Also is worth noting that working with autocad optimaly requires lots of computer power and it can really heat your device. "Autocad, a program for drawing and modeling"
Autocad allows you to draw architectural and urban planning plans quite easily when the program is already known, for basic learning there are no difficulties, but in an intensive 3 hours following an exercise example you can learn the use of high speed tools. It allows to have an accurate handling of the 2D drawing if the program is well used, obtaining the representation of proposals of pieces and even urbanisms. The more knowledge you have about the program, the greater the skill with which you can make the drawings and the use of simplified commands increases the speed of the use of the tools. The main conflicts that the program has in my case is the change of the quick commands when the program is used in another language, for example, the use of CAD in English and then in Spanish; this forces the user to relearn the commands for a quick use of the program or to depend on the icons and tabs to achieve the desired functions. This is compounded by the conflicts that the program presents with the applications of the hatch, which causes the file to increase considerably in weight and produce errors, possibly even a "fatal error"
Autocad at this time is the main program of use in the office for the preparation of planimetry of the projects, as much of the buildings as of the urban projects. This being used by most of the employees who must work in the area of architecture, urbanism, geographical location and planning representation. "Ideal para dibujo técnico en 2D"
AutoCAD posee una gran variedad de herramientas de dibujo en 2D ideaes sobre todo para planos, pero también para dibujo técnico y diseño gráfico en general. Tiene soporte además para modelado en 3D que permite diseñar piezas sencillas para impresión 3D, por ejemplo. Un programa muy accesible y se sencillo de usar para principiantes y con versión gratuita para estudiantes. Muy recomendable para cualquier empresa que necesite dibujar planos técnicos. Las opciones para modelado 3D no son adecuadas para diseños complejos, por lo que no es recomendable para aplicaciones de ingeniería. Es una alternativa sencilla a otros programas más complejos para diseño de logotipos. Muy útil también para el diseño de piezas geométricas simples para impresión 3D. Las capacidad de importación y exportación de archivos en otros formatos facilita mucho el trabajo en conjunto con otros programas. "Father of all Design Softwares"
Everything that can be used as a command that I like best, specially copy command, move command, stretch command..
3d interface i don't like, it must be upgraded as per other design software's, also not like that they are removed Autocad Classic workspace from 2015 and Higher version.. It's a primary software which must be available with every design Department, every design engineer must have a habit to draw concepts and Autocad is always best for it..
New design concept of all the products, GA drawings of all the products, seated drawings of ll the products, these are not a problem but we can resolve all the design related business problems with the help of that, benefits of Autocad are 1. Most user friendly, 2.oldest software in market so everyone knows, 3.better user interface etc..
"Es un software que permite desarrollar mejor las ideas de la ingeniería "
He resuelto dos problemas importantes siendo el primero de ellos los planos para mi tesis de grado de ingeniero civil en el canal de acceso al Lago de Maracaibo, Estado Zulia, los cuales incluyeron la batimetría, obras de protección de costas y espigón de armadura de rocas calizas, en el que se evaluó la posibilidad de recuperar y extender el mismo. El segundo caso ya en mi práctica profesional fue el diseño de las aguas potables, aguas servidas y de lluvias de un edificio de 2 alas de tipo turistico que se construyó en Higuerote, Estado Miranda. "AutoCAD, very useful 2d drawing tool for Engineers." -Such an easy software to deploy and get started. -This software works perfectly on 2d drawing or drafting. Drawing of different lines thicknesses for any kind of 2d dimensions. -The tool can also create 3d models, like modelling of Mechanical engineering models. -Customizable software. This tool can produce any kind and the best Engineering services only when we'll customised by a skilled user. -Production of high quality services. -Efficiency of their customers support team is also quite impressing. -Easy accessing of its features through the command shortcut provided. No much negative issues on this software. AutoCAD has been rendering a great job just that in a big project, file running can be a little bit slow. For accuracy documents production, in Architectural or Engineering industries, this product remains to be the best CAD. -Faster and easy 2d drafting services. -Modelling of Mechanical engineering models. - Production of accurate documents for presentation. AutoCAD is a powerful software that sets the baseline for what professional drafters should be using. Though it may not seem more sophisticated than, say, a 3D modeling software, AutoCAD's potential is limited merely by what the user cares to learn. Sometimes AutoCAD's versatility gets in the way of standardizing effective drawing practices. There are many ways to draw pretty much any 2D drawing and many drafters draw differently. It can be frustrating to work in someone else's drawing if one's work requires it. This is the standard software used in drafting. It should not be ignored; other software is just not as polished or as well-designed. AutoCAD is far superior to drawing construction and engineering documents by hand, but less complicated and more versatile and intuitive than 3D modeling software. Though the industry is headed towards using 3D models more, CAD software still maintains a strong presence in the drafting world. This software is the use for drafting and every drawing to need a draft. And another feauture is to import file and this file get a picture and trace out that picture and drawing. AutoCAD is a computer-aided software drafting program. It is used for a number of applications like creating blueprints for buildings, bridges and computer chips to name a few. AutoCAD is 2D and 3D computer aided drafting software application. Which are use to drafting for best and not useful for 3D modeling. I already told to rendering prossce slow that problem to slove and that is our business benefit. "AutoCAD in the architectural Field"
There's just nothing with this software that I don't like. Is being a long way since the first AutoCAD came out to the market and there has being a lot of improvement on its interface. With that being said, AutoCAD has positioned itself as the most common use software in the architectural field. All the tools that AutoCAD provide to its users are just easy to use and they explain step by step all you have to do in the command bar. This is one of the daily software I use since I was in school. What I like the most of AutoCAD I guess is the compatibility with the other Autodesk software and the possibility to create 3D models in a very accurate way. Its compatibility property makes AutoCAD a must have software because you can definitely use it at the very beginning of the project or just at the end, almost on every phase of any architectural project. Also, one thing to note is that almost everything you do in AutoCAD can be accomplished in 10 different ways, giving AutoCAD a lot more of use and knowledge for the user. 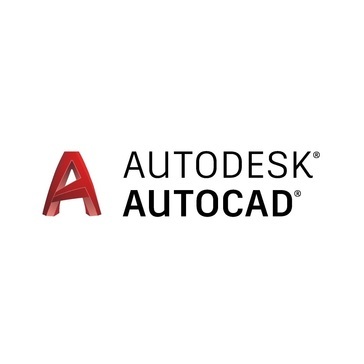 In simple words, I highly recommend Autodesk AutoCAD to anyone who is in the design field, wheater you're an architect, industrial designer, or any other design related profession, AutoCAD is a good software to have, and know. Nothing, everything is just perfect with this software, the only thing I would just say is the performance and compatibility with RAM and the memory you need free on your computer. Also, the updates from Autodesk are a little tedious and can slow down your performance but you then only need to downgrade your service packs and problem fixed. it crashes all the time and I lose work and have to do it all over again. Also the fact that is a basic app for many people, to work in more specific subjects, autocad is too simple, and there are other apps that can provide other new an advance tools. I loved that they offer the free educational version. If you're a student I would recommend to get familiar with the tool while this option is available. "AutoCAD, the best help to architectural students"
Everything on this software is almost perfect! Actually this software is the BASIC tool to start on the CAD and BIM world -to me-, because is the most extended globally and in any country yo go to make any kind of work, AutoCAD will be present. Another thing that is important to me is that I can use it to make another kind of works like vector images to another fields like publishing if i don't have on the hand the specific software and tools to do it. Frankly, the only thing that I dislike is that the software doesn't has more features and have to use with others like Revit to have a very complete biulding design level... Although, that would be actually a good way to improve the workflow between both softwares. This software is simply great and amazing. It has allowed me to learn year after year and be more productive on its use and on the things that one can do when using it, and another plus is that once you've learned how to use it on one version, the next ones are easy to learn and use quickly. As a student, this software was the solution that I was asking for, it lets you be more quicker and productive in the process to draft and draw architetural plans and anything you want to draw on vectors. As a professional, it lets me be productive, generate the needed documentation to any type of building that I have to manage on its process and... It's the well-known software by almost everyone on the field. The export feature options doesnot work sometimes. Huge files difficult to handle. When multiple features are marked on the map the clarity is lost. Yes I would recommend it. Preparing plans is very easy. It is very user friendly and anyone can use it. We are using this to transfer the survey data from the field to the electronic media and transfer to different offices. Also used in mapping. "What could we do today without Autocad??" Years ago (not so long ago actually...) engineers used large drawing tables and plenty of pencils of different thickness. Luckily, AutoCAD is born and we have greatly improved our work. You can create everything with AutoCAD from simple to incredibly complex drawings. The best part is that you have a right to make mistakes while working. and then you don't have to destroy the whole drawing. AutoCAD offers a lot of tools to make your job easier. I adore the windows there. You can draw in the first window and then create a final drawing in the next windows with frames and inscriptions. It makes my job a lot easier because I can use blanks. Text commands help you as well. You don't need to look for the tool every time just remember the text command for it. And I like to make notes with not printed text. When the drawing is too big, AutoCAD becomes not stable and you can lose your success if you forgot to save the file. It is obvious that you can't open a file from the newest version in the oldest one. This is a nuisance. AutoCAD has a loooot of features, but beginners do not really know about them and a lot of users still utilize just simple functions. Do not remain on the one level, always improve your skills and learn new! AutoCAD is a necessary engineer tool. My advice is to get to know some literature about it, just to realize what you can create and how AutoCAD can improve your efficiency. "It is a useful tool for me. It is practical, powerful and the best mechanical design option." 1. A good choice for computer-aided mechanical design. 2. You have the opportunity to verify your 3d designs so that each detail matches what is going to be manufactured. 3. Availability of several formats for printing the plans. 4. Your files can be used by 3D printers and thus carry out the manufacture of the products. 5. Its interface is very friendly. Certainly you need practice to know the advantages of each function and how they operate. 6. As a project engineer, allows you to have control of your projects and work in conjunction with your work team. 1. It is slow if you are working with complex 3d designs. 2. Sometimes the program is closed or hangs up and some of the plans are lost. 3. It is an expensive program. 4. Although there are some free licenses for universities, they expire after a certain time. For universities in developing countries it is very hard to afford licenses. Therefore, so many engineering students do not have an opportunity to have a deep approach with the program. A good choice for computer-aided mechanical design. You have the opportunity to verify your 3d designs so that each detail matches what is going to be manufactured. Design of a friction machine. "pin on disk" configuration. Design of static particle disperser, eductor and coupon holder for sand retention test cell. Also, ergonomic improvements: design and construction of tools for installing “block beam”, “cow face” and “crossbows”. Besides design of riveting hammers. "Best CAD tool, Helpful especially for Engineers, Architects and Designers. " Friendly interface. Simple to utilize, heaps of approaches to redo the UI, console directions simple to recollect. very simple to learn. extravagant rendition of microsoft paint! more usefulness than google sketchup or microstation, effectively import pictures, pdfs and other cadd documents. Incredible program for doing floor designs and plant formats, this likewise works extraordinary for doing gaskets and some sheet metal level examples. another advantage of this program is it works in a few building territories like common, curve and Mech. I never have an issue more than once with the AutoCAD program because of they appear to fix bugs in the program every now and again. I extremely like the last introduction of the structure in light of the fact that the apparatus offers me a lot of alternatives to work in the see, since it enables me to plan with various instruments for the elaboration of the edge, the legend, the numerical or realistic scale, titles or captions of the cartography, and even embed pictures or maps as indicated by the need. AutoCAD can have an assortment of detail levels, from straightforward stick line illustrations to full detail wireframe 3D models. As a result of the wide cluster of attracting instruments the program, it very well may be anything but difficult to draw subtleties of anything required for undertakings. Anything drawn requires a ton of altering to get to the dimension of detail required, and anything that must be changed or moved later essentially requires drawing the lines once more and altering those for the new changes. The 3D demonstrating accessible isn't instinctive either, can at present experience the ill effects of a similar absence of a savvy framework for moving and altering what's been drawn. Additionally the way that is a fundamental application for some individuals, to work in progressively explicit subjects, autocad is excessively straightforward, and there are different applications that can give other new a development devices. We are utilizing this to exchange the study information from the field to the electronic media and exchange to various workplaces. Additionally utilized in mapping. We use it for 2 dimensional development designs, scene designs water system designs and that's only the tip of the iceberg. We additionally create 3D models for reasonable renderings. It enables us to facilitate with different fashioners and architects to share illustrations consistently. The advantages of having the capacity to oversee separate forms and test on individual physical properties of an items turns out to be a standout amongst the most madly valuable applications on earth. It's the undisputed, multi-industrial standard for design and engineering. It has many powerful capabilities. I've been an AutoCAD user for over 30 years, have been a support technician and trainer for an AutoCAD dealer and have numerous certifications. AutoCAD is one of the most expensive pieces of software and buying a licensed copy should be just that - you own it. Unfortunately, AutoDesk has succumbed to the pressure of going the way of subscription so that you no longer own it, you lease it. For smaller design firms, it's a big burden to pay thousands and thousands of dollars to maintain a subscription. It's robbery in my opinion. AutoCAD is great and I've built a career on it. But it's not cheap. Read the fine print on subscriptions. We use it for 2 dimensional construction plans, landscape plans irrigation plans and more. We also produce 3D models for conceptual renderings. It allows us to coordinate with other designers and engineers to share drawings seamlessly. It is easy to learn to use. I thought myself how to use it. I do some custom drawing that requires me to use online map data, or real time google maps. If you have an active autodesk account with a paid version, map data comes with free of charge. It has a lot of features that i never use, mainly because i never got the training for it. It is a little expensive for what I only use it for, but i have always been able to do everything i can want and need. It is great software for doing plain easy line work, also i really like teh map data. We import a lot of cad files into our main drawing software at my work place. Some times the files are too big to import, so I use Autocad to clean up the files, take out hat i don't need, and bring them down in size. "Autocad is great for designing floorplans and event spaces"
I like that Autocad is extremely accurate for designing massive event spaces. You can easily create blocks containing like items, modify and create unique items for easy modification and this software is the front runner for architecture, blueprints and other building design. I dislike looking at dark colors with bright neon layers after a while, but it makes it easier to see what you're doing. You have to really get used to working in the skeleton view and might be difficult to use if you're not able to visualize objects without seeing them whole. Jump in and do some tutorials or get a tutor. It can be frustrating to learn at first given that it's command based, but now there are are a lot of buttons to help that as well. It's much easier to use now than it used to be. I design floorplans, as well as booth layouts and put together parts and panels lists for our warehouse to pull. It's efficient, simple and widely used among other disciplines in the industry. I appreciate that Autodesk offered free education version which helps graduated students to catch up faster in their professional life. It's easy to learn and satisfied most of the tasks that I required Autocad to do. Can't seem to tell the difference between each upgrade. Hatch is still pretty bad and sometimes printed funny. Sometimes I still relies on lisps to resolve my issues. Feel like AutoCAD is a bit stagnant while Revit is catching up so fast. Stilll experiencing mild hiccups in editing blocks and switching paper space. It's an industrial standard software. It's important in doing quick draft and communication with other construction disciplines. HOW YOU KEEP CHANGING THE MENU SYSTEMS, THE SAME FUNCTIONS ARE THERE, JUST HAVE TO LEARN WHERE THEY ARE AGAIN. I USE IT MOSTLY FOR THE LAYOUTS OF OUR PLANTS. WE ARE CONSTANTLY UPGRADING TO NEW MACHINES, SOMETIMES HAVE TO MAKE MULTIPLE MOVES TO GET NEW MACHINES IN. GREAT HAVING IT ON MY PHONE SO I CAN SHOW CONTRACTORS LOCATIONS AND EVEN MEASURE LOCATIONS ON THE SPOT. ALSO USE IT TO DRAW UP PARTS AND USE SOLID MODELS. It is user-friendly and allows the use of add-on programmes, such as specialised Road Traffic Management software. It sometimes crashes but it may be due to our network settings. It is widely used in many engineering industries, so knowledge of AutoCAD is a must. I use AutoCAD to produce drawings of new road layouts, road maintenance schemes and traffic maintenance schemes. AutoCAD allows me to easily import backgrounds OS maps and produce clear annotated drawings of the works to be carried out. Crucially for my job, AutoCAD allows the use of add-on specialised programmes such as KeySign (used to design traffic signs to UK regulation standards) and KeyLines (used to design all types of road markings). These designs are seamlessly incorporated to AutoCAD drawings which makes my job much quicker and easier. Features such as batch plotting of drawings are also very convenient when working on larger jobs. The precision and hints when drawing and designing. There are calculation helpers that make it so much easier to use. The program works great and we could not do our work with out it. We are able to get the precision and clarity we need in our industry. We cannot have any messy work or we cannot design. This program is very diverse as well, you can change the scale from 12-30 (well that's what we use at least) between different users and not to mention convert a PDF to CAD or even a CAD file to PDF. I do not like how the program will not work if you do not know the short cut's. Also, it can be very confusing when the tool bar disappears and you are trying to figure out how to get it back on. Defiantly not the best part of the program. I would recommend doing an online training before attempting to work with the program on your own. It can be very confusing and frustrating if you cannot make a feature work like it is supposed to. You will need to work on all short codes in order to make the program work correctly. We are able to perform our Engineering designs and our work looks professional and without any errors (other than human of course). We could not do our work without it. We would be out of business if it weren't for this program. "The best architectural documentation software"
AutoCAD has been the mainstay for AEC professionals for a reason, it is precise, powerful and (with training) intuitive to use. Now, you can even access all of your projects from mobile devices (it's not a great interface, but helps when in the field). Autodesk does tend to make changes to make things more "user-friendly", but it just makes the package heavier and slower. For power-users that use key inputs instead of pull-downs, this is a negative change, but really minor. Forget considering the other software options because they are less expensive. AutoCAD is the best, and the most used (so easiest transfer/collaboration). I am using AutoCAD for interior/architectural design and product design. The core software is fantastic, but can, also, be supplemented to suit your exact need with additional packages. "Awesome 2D and 3D design software"
This is the best software for both mechanical and civil designs. Layout designing features, tools and all other code based options are the best in its area. The software is easy to use. You can easily get templates for layouts. In most cases, there are lots of libraries available for common items. Files can be shared and opened by other softwares (like solidworks and other engineering design softwares). They have student version that is free for use. So, people can actually learn while they are student. The software takes more time to load. It can be difficult to learn initially. Not enough functions and options like similar other softwares. Customization can be difficult sometimes. You would have to be very expert in knowing and using all the features available. Its not easy to find. In some cases, it has difficulty reading other versions or other software files. If the layers are more than a limit, the performance of the software decreases subsequently. The user interface has lots of options available but they are not easily accessible. Sometimes saving file in different version (like pdf, dwf, dxf etc) are difficult to do and sometimes can not be read in other softwares. Its a very good design software that is being used in many industries. These files can be shared and read by most engineering firms. Engineering design, Layout design, Mechanical parts designing, Civil drafting and problem solving. It is easy to use and it is possible to customize the software. The file format is widely recognized so it is a plus for file sharing. The 3d capabilities aren't so good and the BIM aspect is missing. But otherwise it is a really great 2d drafting software. It is easy to share drawings between architect and engineer. The files are recognized by many major 3d software to create models of projects after. * We monitor all AutoCAD reviews to prevent fraudulent reviews and keep review quality high. We do not post reviews by company employees or direct competitors. Validated reviews require the user to submit a screenshot of the product containing their user ID, in order to verify a user is an actual user of the product. Hi there! Are you looking to implement a solution like AutoCAD?